Desi Smith/Staff Photo. 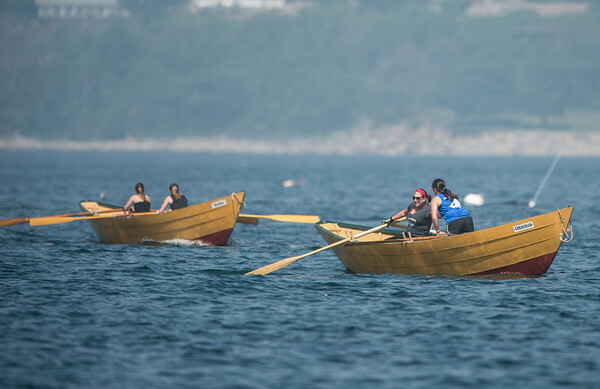 Amanda Palazzola and Lindsey Rogers (right) congratulate each other after beating out Team’s Karen Conant/Alex Pizzamenti and Courtney Cory/ in the women’s International Dory Eliminations held Saturday morning at Niles Beach. May 30,2015.